Hi everyone! 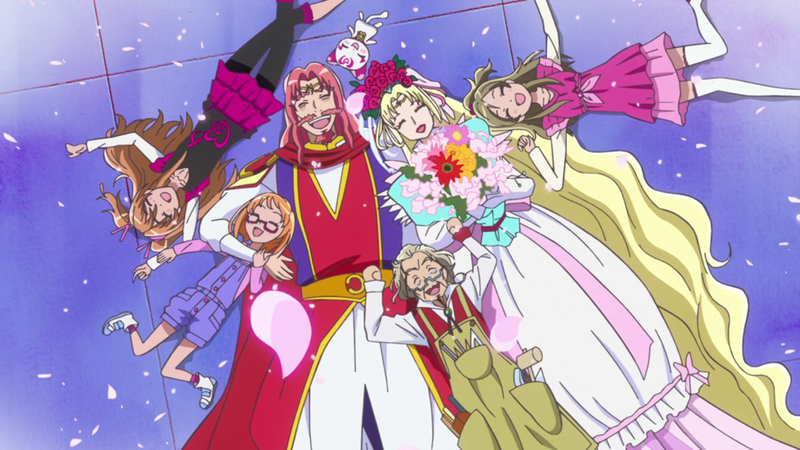 Here is my long awaited Precure All Stars Spring Carnival Movie review! 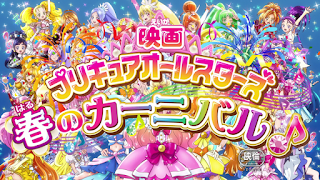 Synopsis: The various Precure teams including Go Princess were invited to a Spring Carnival in the Kingdom of Harmonia. 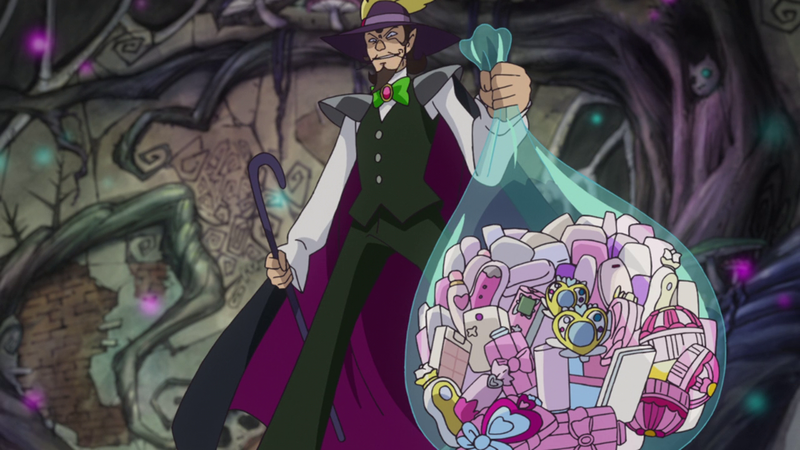 However it is a trap devised by a two thieves named Odoren and Utaen who has already abducted the Royal family and his aim is all the Precure transformation items. Can the girls able to figure out his plan before all is lost? 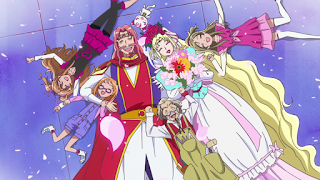 The plot is nothing special as we have seen it before in different Precures movies. However this time, Toei decided to go all "Coco Puff" as almost two-third of the film are musical numbers. (mainly from the different seasons' opening and ending songs) But the way they presented the songs felt like a Japanese variety show-(Music Station if anyone remember?) and both Odoren and Utaen interviewed the girls like they are celebrities. This is the only nice aftermath I like from the different teams. Then there are the various teams. As usual, not everyone returned to reprise their characters leaving them like dummies in the background. Although there are some scenes during their performances which showed the aftermath when their series were over. 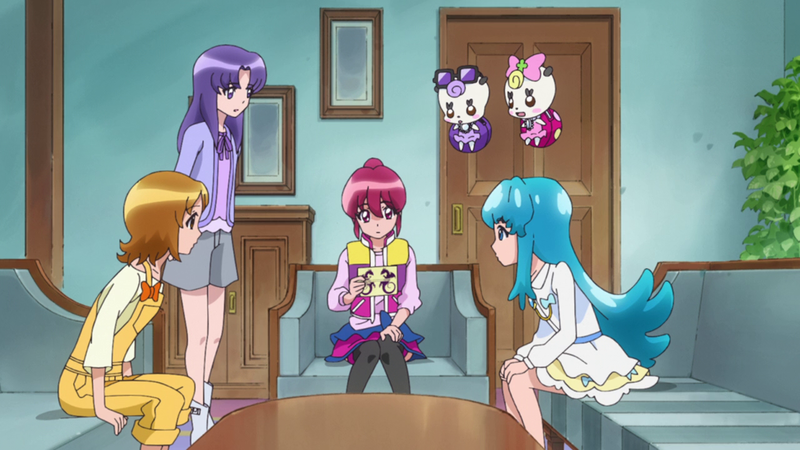 But come on, Toei, everyone before Smile Precure should be in their adulthood! 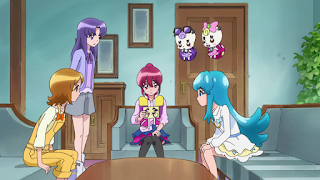 I want to see an adult Honoka, Karen, Love, Setsuna, Hibiki and Kandae which I am sure some of you older fans want to see that too! Overall, my personal opinion is not a good one as this is the worst All Stars movie ever. It make Super Hero Taisen Z a classic and I personally didn't enjoy that movie either. Maybe Toei should stop making these movies for the time being and re-evaluate what is good and remove all the bad points from the various movies. If you like musical numbers, more power to you. A few songs here and there is fine but this movie really make me want to delete it from my hard drive. Final Verdict: A big D. Delete the movie after watching. It is not worth the effort to keep it! I agree. 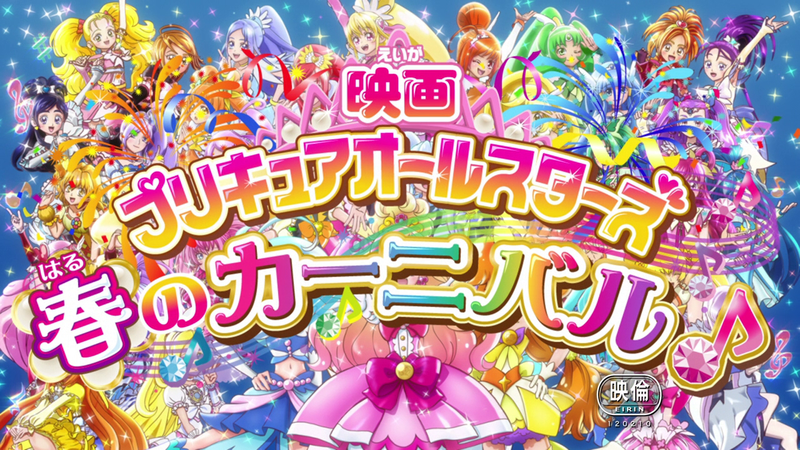 This is the worst Precure All Stars I've ever watched. So much dancing and singing and music video scenes style that have nothing to do with the plot. 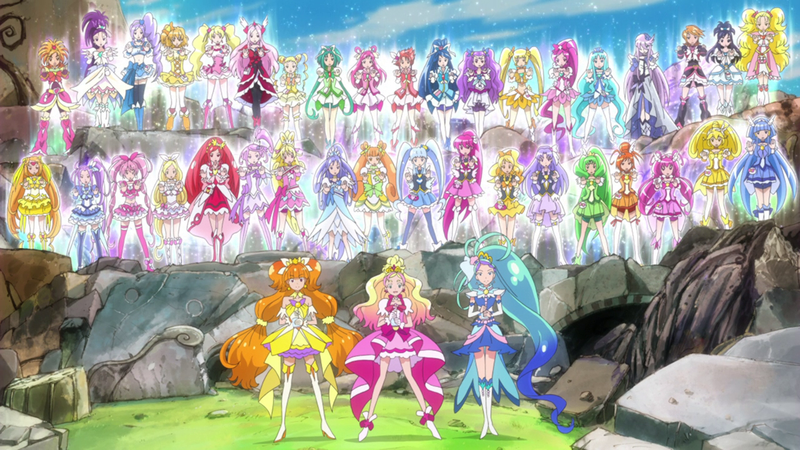 If Toei want to release this kind of All Stars they should make this an OVA instead of movie. I think this movie is a different approach from other All Stars movies. If you treat this movie like other All Star movies, it is definitely the worst one because there is not much storyline...saying in better way, the story is rather simple, and there is not much fighting. You need to watch it like watching opera. This kind of opera-style animation seems very popular recently too. You can see from some new animes now (such as Dance with Devil). 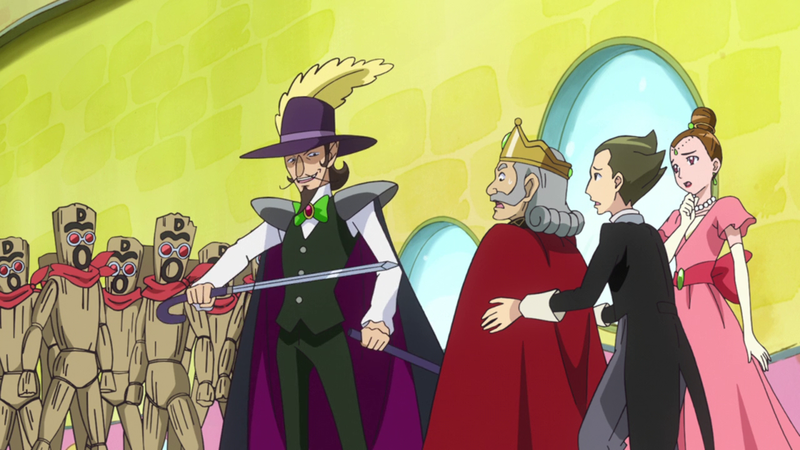 The problem is this kind of musical movie can't make sequel like DX & NS, Toei needs to search a new approach next year. The problem is Pretty Cure has been associated with girl power and fighting as a team like Sailor Moon or Super Sentai. 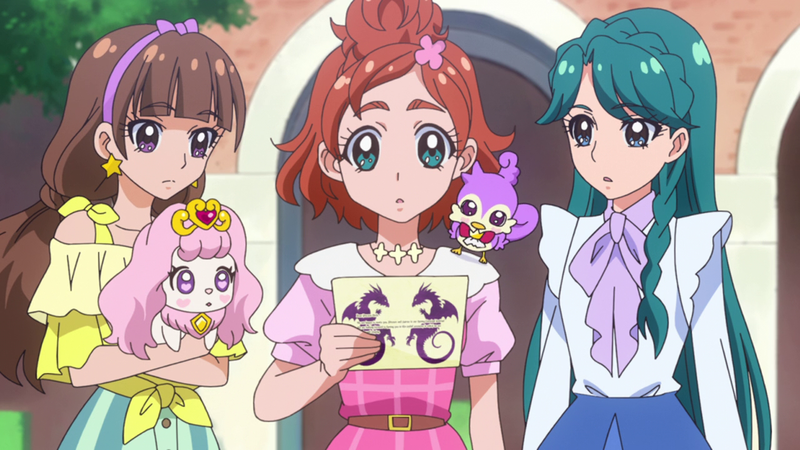 However this movie gave long time fans a big face palm as the plot is so "plain" that if you want to introduce a newbie on Precure and you showed them this movie, they might reconsider on folliowing the rest of the series. 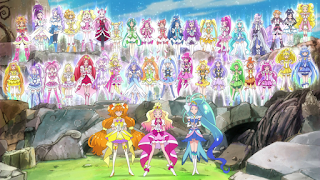 Unless it is done in a live stage like how Sailor Moon has musical shows which make sense. 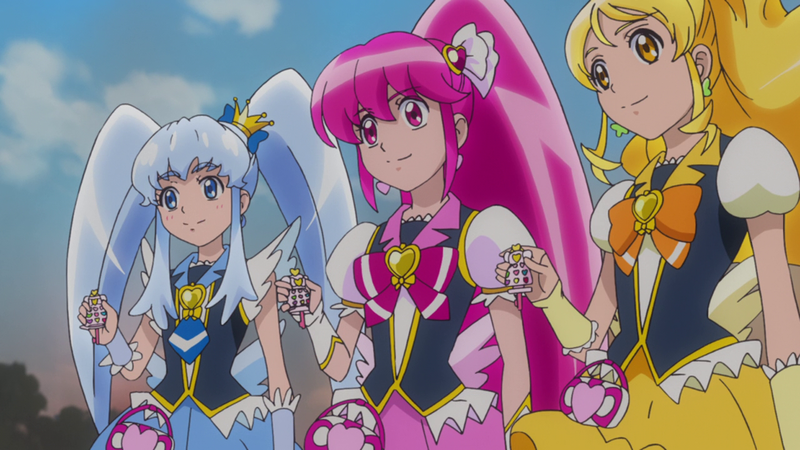 Yes, Pretty Cure series itself is associated with girls power and fighting as a team, but All Stars movie is a different thing. All Stars movie associates crossover and nostalgia. Looking back to NS series, it fails to achieve this two basic features even they have fighting scenes. Although this movie focuses on musical shows, but it achieves the two features. 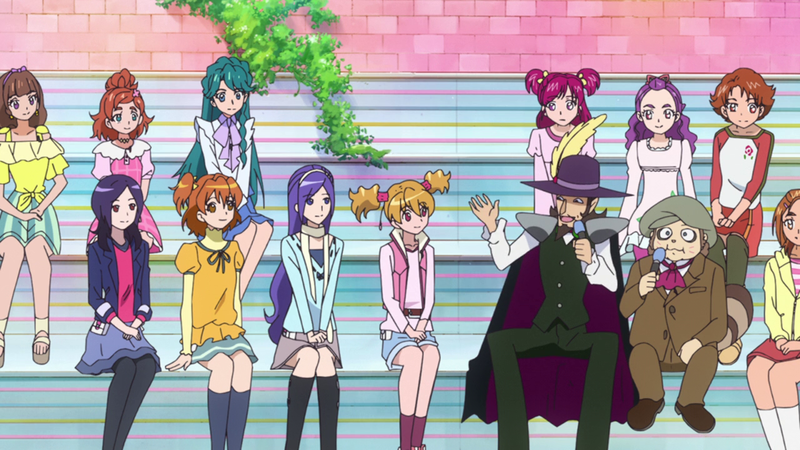 In particular, Precure had introduced dance endings since SS. It has a potential to do something like this...and their introduction of CG and motion capture affects the Japanese CG industry. (the coming movie is also attempting a new 3D style) FYI, using motion capture is expensive for movie making. "It make Super Hero Taisen Z a classic[...]"
Well, better that than Transformers 4 :Age "Almost Sleep" of Extinction!